Take the hassle out of organising your next meeting, conference or event and visit Novotel Canberra. Our dedicated Conference and Events team will ensure that your next business meeting or corporate function is delivered with professional service, and achieves the desired results. 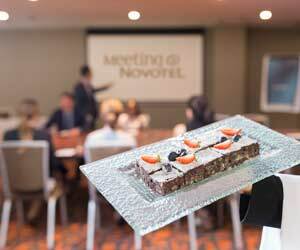 Novotel Canberra offers specially tailored Conference Day Packages to help ensure your day runs smoothly so you are able to focus on key elements of your conference or event. Please download our conference kit here. Stay ahead of your events in 2019 by booking your next conference at Novotel Canberra! By booking in advance, every 11th delegate will be free! *T&Cs apply: Minimum 50 delegates.